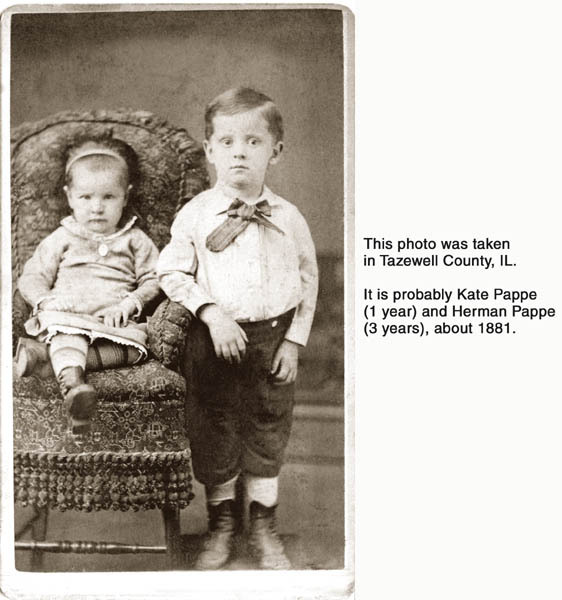 Katherine Pappe was the eldest daughter of Albert Ludwig Pappe and his first wife, Helen Prettig. 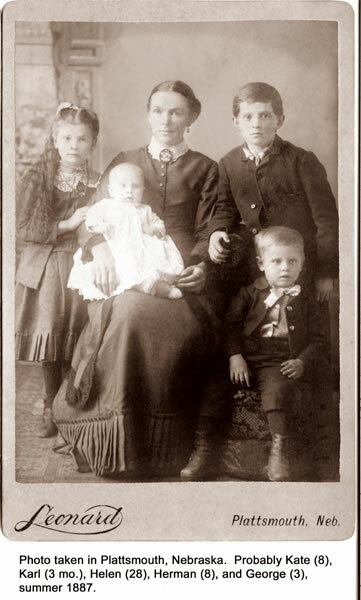 She was born in Tazewell county, Illinois and moved with her parents to Nebraska in 1894. 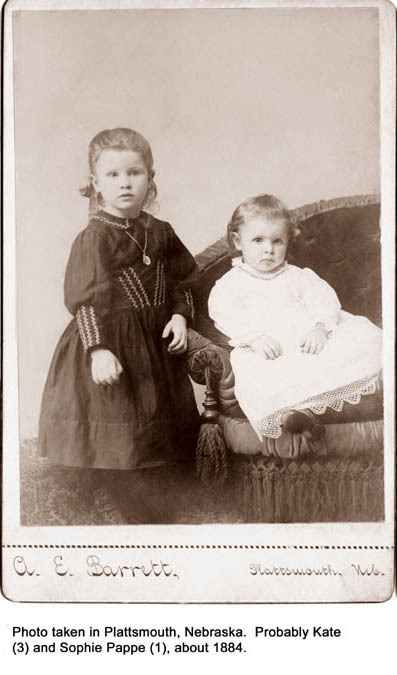 In 1899 Kate married George Hild and they raised three daughters. Kate's grandson Eldon (Mike) Meisinger conducted much of the early research of Albert Ludwig Pappe's branch of the family. Probably Kate Pappe at left.